If you're looking for an alternative way to heat your home, you may consider a corn stove. Corn stoves work similar to pellet stoves, but, as you might guess, burn corn instead of wood. Depending on where you live, corn may be less expensive than pellets or heating with traditional resources (natural gas/electric). Definitely compare fuels in your area before deciding on an insert, boiler, or free-standing unit, and also make sure to inquire as to availability. As you can see from the picture, a corn stove insert can fit into your hearth just as well as a wood insert. Some manufacturers use faux logs in their stoves (much the same as with gas inserts) in order to simulate the look of a wood-burning fireplace. In the background, though, corn is providing the heat for your home. Corn stoves and inserts are comparable in cost to wood-burning and gas units. Expect to pay $800-$2,000 for a new unit (plus installation costs). Since the cost of corn varies a lot from place to place, you should look at prices and availability in your area to determine whether or not you can save money by switching to this alternative fuel. If you love having a fire, but cringe at the idea of throwing logs into it to burn (just think of all the magnificent trees that died so you could have firewood! ), you may like the idea of building fire with a more eco-friendly fuel. Olive waste, perhaps? Researchers have found that olive stones—byproducts of processing olive oil and table olives—can be turned into fuel that burns. This is waste that would otherwise just be in the way, so we're definitely looking at an eco-friendly product. "The rolls are made from the waste produced after olives are pressed at Israeli olive presses, known in Hebrew as gefet. The material is rich in oil and superb for heating, but if left behind at the presses to seep into the soil, will destroy ground water and render the soil infertile. The simple act of collecting it is the product’s first ecological benefit." Not only that, but the "olive bars" that can be made have almost 2.5 times the energy of wood. You won't find these bars on sale at Safeway or Home Depot yet (right now, they're being made by a small Middle Eastern company," but maybe they'll become widely available in the future. If you've ever thought about switching to an alternative heating method, this could be the time to install a corn stove. Corn stoves can heat your home in the same way as wood or pellet stoves, except instead of burning wood they burn--you guessed it--corn. 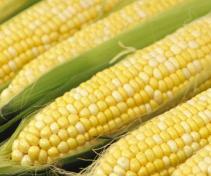 Depending on where you live, corn can be inexpensive to purchase, perhaps even less costly than wood or pellets. Also, corn is an easily renewable resource. Unlike wood or propane, a new crop of corn comes up every year, so burning corn is less taxing on the environment than many other materials. This isn't some new funky technology either (though it continues to improve as new models of more efficient stoves come to the market). Like wood burning stoves, corn-fired stoves were once a very common way of heating farmhouses, cabins, and other rural abodes (people living in these environments had plenty of storage space for fuel). These days it's becoming popular again since bio fuel research and development has made corn stoves a practical and eco-friendly way to heat a home. If you live somewhere that coal is an abundant resource (such as Pennsylvania), it's the cheapest heat source you can go with. The fuel cost is inexpensive, starting at about $5 per M/Btu. The price for coal stoves starts at about $1,300, with about $500 more for installation from a professional. As far as maintenance goes, coal burning stoves do require some. You'll need to clean self-stoking models about once a week, using a stiff brush. (If you go for a manually stoked unit, expect to shake the grates twice a day and shovel the ash once per load.) Every six months or so, you'll want to check the vent pipes to make sure there is no corrosion. And once a year, you should have a technician service the stove. Let's take a look at the pros and cons now. They have a long burn time (depending on the model, you can get 18-20 hours per load). If coal is abundant in your area, this is the cheapest way to heat your home through the winter. You can avoid manually stoked models for "self-stoking" units that require less work. Coal is a non-renewable energy source and not as environmentally friendly as alternative fuels. It isn't available in all locations. Coal produces sulfur and fly ash that can corrode some metal pipes, so you need to opt for more expensive stainless venting. We've talked a bit about using alternative fuels like corn heaters and pellet stoves for heating homes. Well, a Minnesota community pool has decided to try a corn-burning furnance to keep its swimmers warm. In order to save on energy costs, the furnance will burn an expected 11 bushels of corn a day. The city believes this will be cheaper than heating with gas or electricity. I wonder if this will trickle down and become an option for those of us with backyard swimming pools. In southern climates, solar energy is often enough to keep a pool warm, but at more northerly lattitudes, it usually isn't. So bring on the corn. Corn heating (similar to using a wood stove, except using dried corn instead of logs or pellets) is taking off this season as many homeowners seek lower-cost alternatives to the rising prices of natural gas. But what does it cost? Is it really more efficient? Ding, ding, ding, we have a winner... Keep in mind, corn can be hard to come by for city dwellers and is being used for heating more in rural areas. Before making the decision to buy a corn-burning stove, make sure you can buy dried corn reliably in your area. Are you using the best fuel for heating your home this winter? It can be hard to know without doing a lot of research. A pellet- or wood-burning stove might be more efficient in some areas, but then again, gas or electric might end up cheaper in the long run, especially when you consider the lesser amount of work required. How can you figure out what's best for you? Demand for Corn Stoves High This Winter--Why? Newspaper articles across the country are noting the popularity of corn stoves as an alternative heat source this winter. That popularity is making them hard to come by. Suppliers are selling them as quickly as they come in. Given the prices of gas and oil this winter, it's not surprising. But what's the appeal? How do they work? Corn stoves use shelled corn with a moisture content of 12-15%. In many areas, corn is cheaper than wood or wood pellets (and oil and gas for that matter), plus it's a renewable resource. To run the stove, you load the corn into a hopper (most stoves can handle up to a 24-hour load at a time), it burns, then an ash drawer collects the remains. Most corn-burning stoves come with a thermostat that you can set, so the corn burns more or less to heat the house as needed. The smell is a little different from a wood-burning stove, but most people don't seem to mind. It's actually supposed to be easier on the senses because the corn gives off a sweet scent.